Do you know what people do for fun in Minnesota? They ice fish. As in, go out on the frozen lake, drill a hole through the ice, and stick their fishing pole down. I know…crazysauce! Minnesota is a fishing mecca that people travel far and wide to come to simply to freeze their buts off for little fishes. Oh but those little fishies are tasty! And the most famous Minnesota fishie? The walleye, of course. 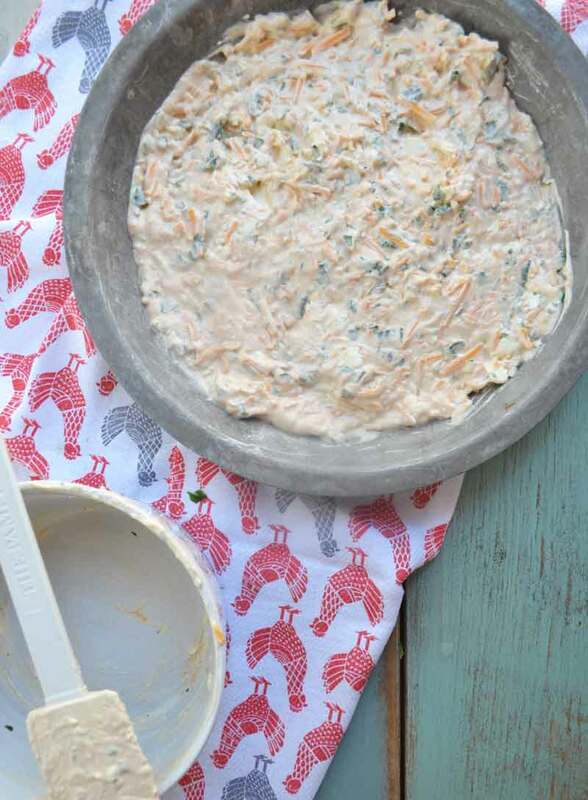 This hot walleye dip is a fantastic way to cook up Minnesota’s favorite fish. 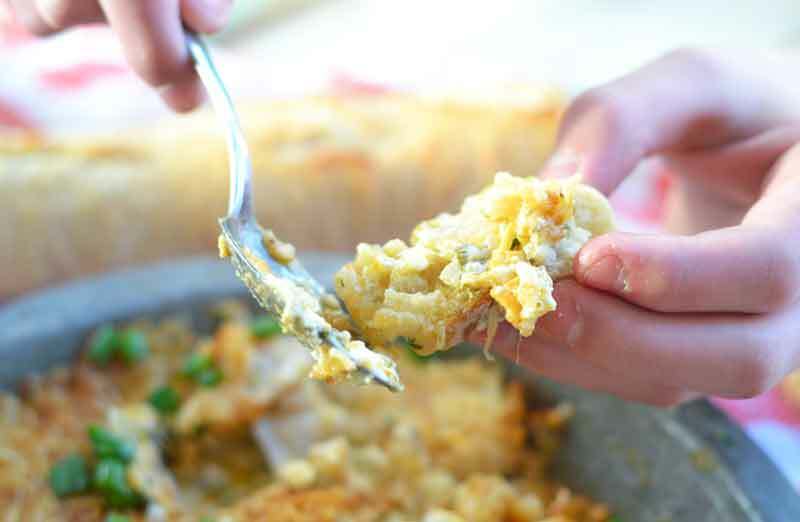 The dip is cheesy and creamy acting as a perfect way to showcase your walleye. If you don’t have access to walleye other white fish will be delicious, as well! 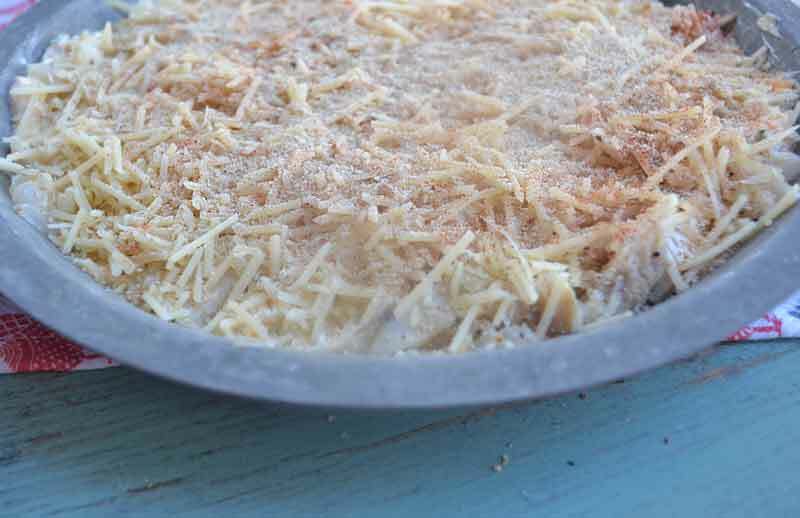 Putting the cheese mixture on the bottom of the baking pan BEFORE and SEPARATE from the fish helps to keep that fish the star of the dip. With each scoop of dip you are sure to get a chunk of gorgeous walleye. Now, for those of you without access to walleye. 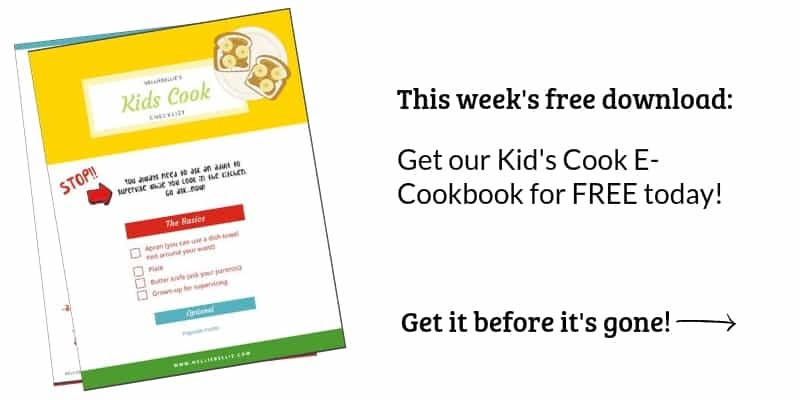 Or, you want to use another of your favorite fish… go for it! 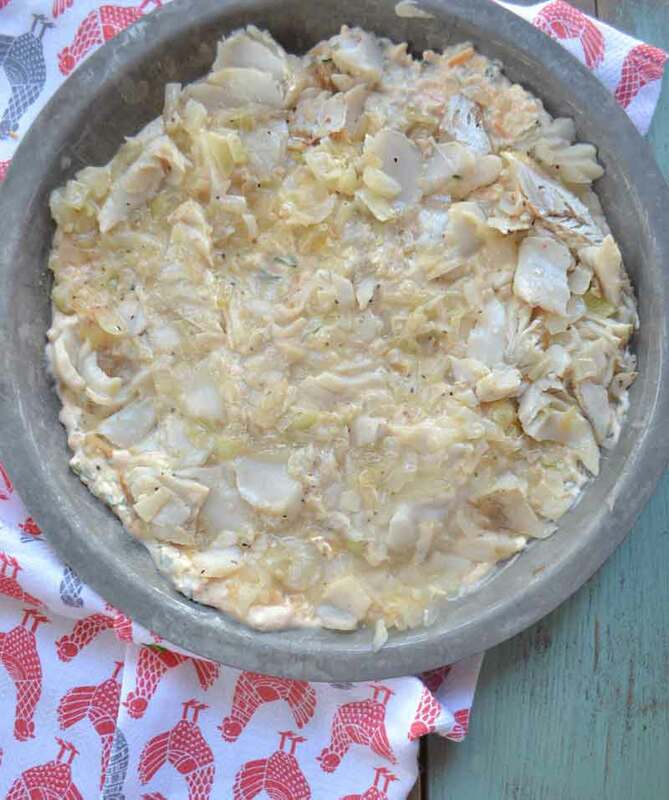 Alaskan cod, trout, sunfish, and many others of the white fish would be excellent in this dip. I always cook my fish skin side down with a pat of butter. 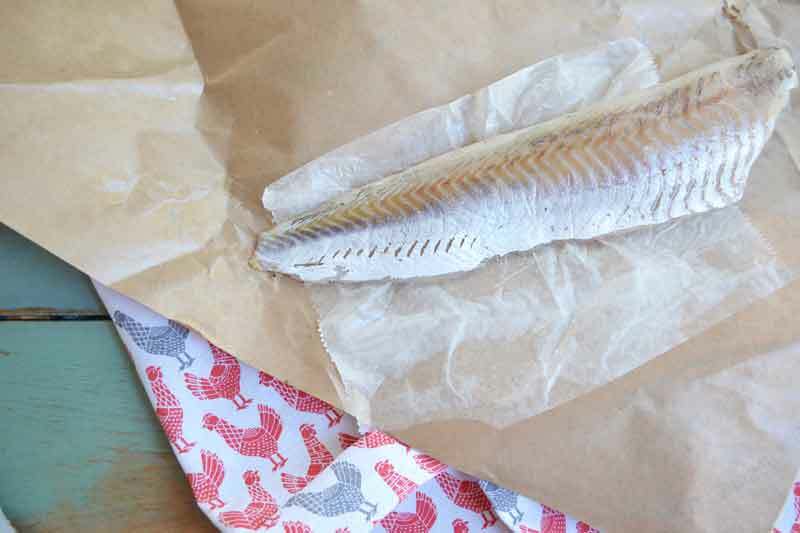 When cooking a fish as special as walleye, DON’T skip the pat of butter. Walleye deserves you adding the extra calories. 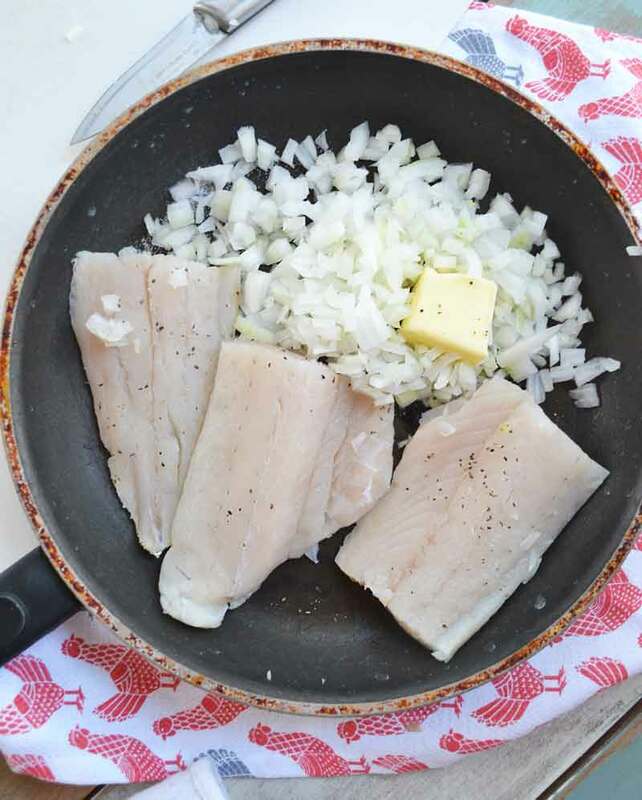 For this dip, I also cook onions along with the fish and then flip the fish over for a couple of minutes just to absorb some of that butter and onion flavor. That means that ALL of the flaky pieces have some great butter and onion flavor. After you’ve cooked the fish (and gently flaked it and stirred it with the onions) press it gently into your cheese mixture. 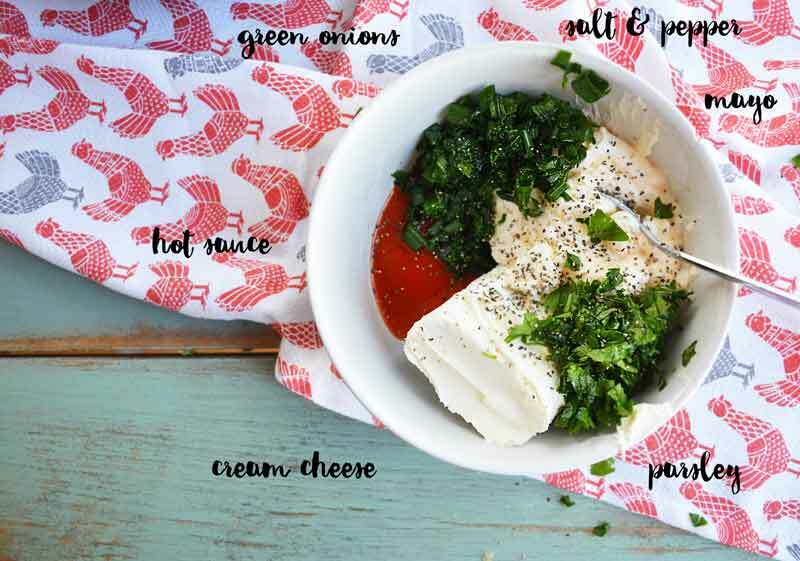 The dip will meld beautifully while it bakes without losing any of those great chunks. Why am I using apie tinrather than a gorgeous baking dish? First reason…I don’t own a baking dish just for a dip and feel no reason to purchase one when something I already own will suffice. Second reason…pie tins are used for everything here in Minnesota, even as plates (no really!?! some “cool” restaurants use them and everyone goes crazy for it!). Third and most importantly…I love the depth of pie tins for dips. They make it so you can get everything in the dip with one scoop. 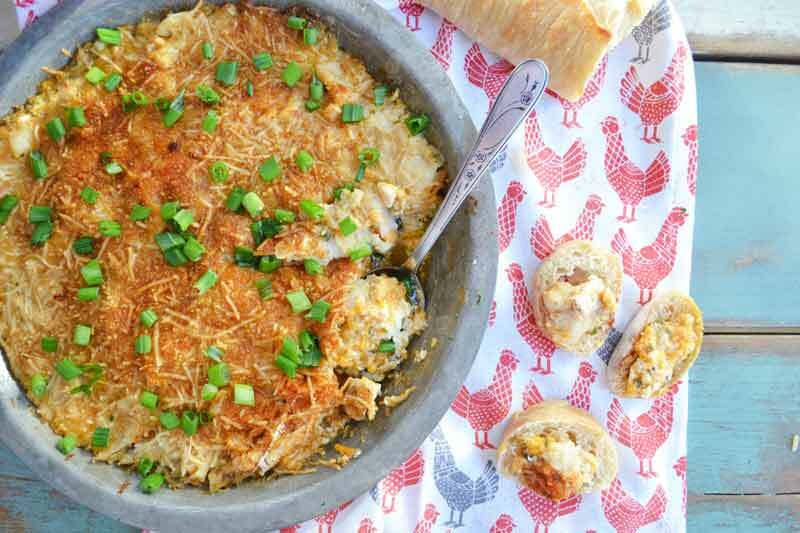 Top the dip with more cheese and some breadcrumbs to give it a great crunch and golden brown flavor. Bake it up in the oven for about 25 minutes. The top will be golden brown and the edges will bubble when it has reached perfection. Note: You can use crushed potato chips or crackers here if you like. Serve this dip up with crunch bread, chips, or crackers for the next Game Day party or as an appetizer for a party. Melt the butter and add the chopped onion and walleye fillet. Cook about 5 minutes or until the fillet is done. 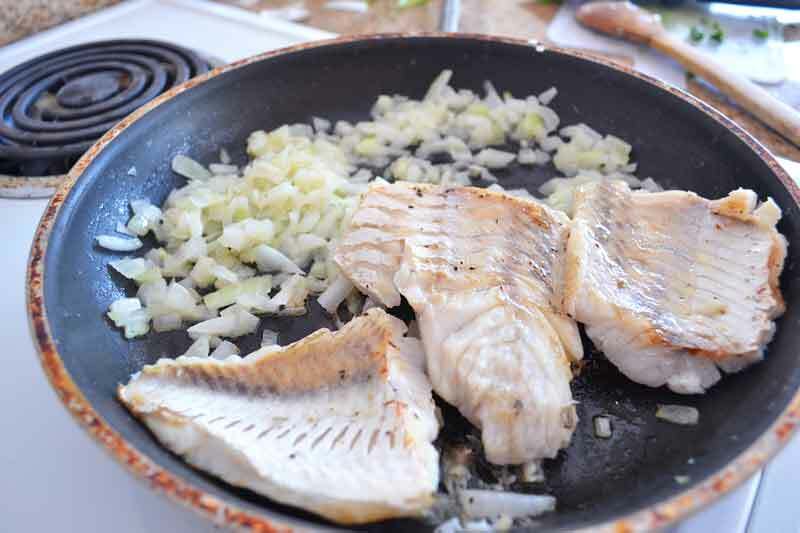 Use a spatula to flake the fish and stir the onion and butter together. Set aside. 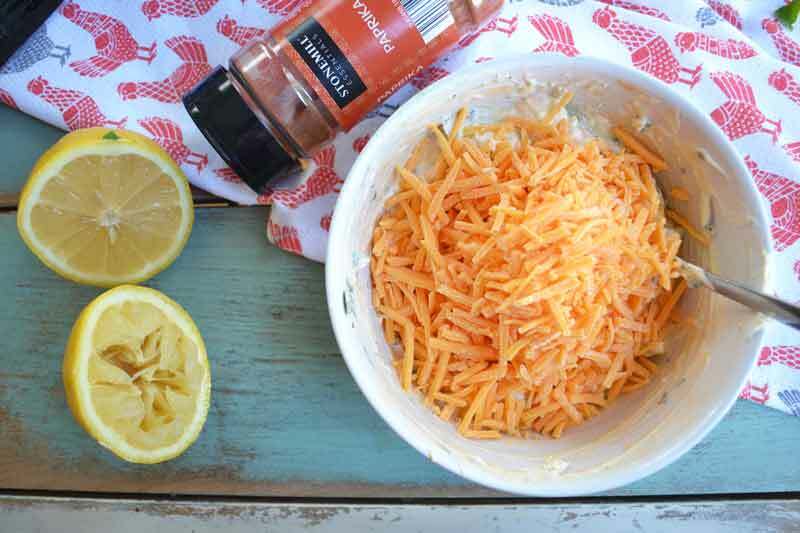 In large bowl mix the cream cheese with the mayo and cheddar cheese. Add the hot sauce, chives, parsley, lemon juice, and paprika. Stir well. Press the cream cheese mixture into a pie pan or baking dish. Press the walleye flakes on to the top of the cream cheese being sure to add the cooked onions. 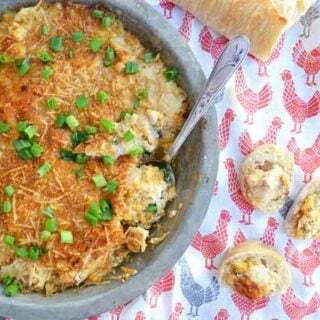 Top with the breadcrumbs, parmesan cheese, and a sprinkle of paprika. Bake at 350 degrees for 25 minutes or until hot and bubbling. Try swapping out the cheddar cheese for monterey jack or...gouda. Yum! Im from Pataskala Ohio, fish Lake erie for walleye n can hardly wait to try with walleye, n also delicious yellow perch. Thank You for the recipe!!!! !